Basement Entry Systems, Inc. was formed in 2007 by Robert (a.k.a. “Bilco Bob”) and Tammy Smith. In 1986, Bob was at Centerville Lumber in Hamden buying materials for a job when a conversation ensued with Frank at the lumber counter about bulkhead doors. Bob realized there was a need for competent installers. 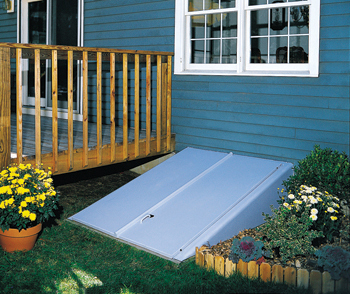 For the next twenty years, Bob installed basement doors on a referral basis from many local lumber yards. Bob was instrumental in establishing the factory-authorized installer program with the Bilco® company. He worked hand in hand with Bilco® implementing several new products. His picture is featured on installation instructions and various pieces of literature. Bob and Tammy realized that there was a need for a company which specifically addressed the proper installation of basement entry doors. In 2007, they formed Basement Entry Systems with the intention of providing the people of Connecticut with both quality as well as reasonably priced installations of Bilco doors. Remember: if you are pleased with our work, please tell others.